The online video market continued to gain momentum in 2010, with an average of 179 million Americans watching video each month, according to a new white paper from comScore. Engagement levels also rose during the year, with viewers watching online videos more frequently. So, is your nonprofit using video to engage donors? If not, now is your chance. Visit flipforgood.org and get your free Flip Video camera from Cisco. After you have it, here are some tips for engaging donors with video. Post it on YouTube and your site–It helps with search engine rankings. Take-away: Go to flipforgood.org and get your camera, and then start filming! Your organizations website is one of the most important assets you have in communicating your mission, yet it is often the last thing we think about as we prepare campaigns, events, and calls to action. Here are a few best practices designed to help increase the ROI of your online donations. Use short sentences and simple words. As a general rule, keep the story positive. It is fair to share the plight of those you serve, but be sure to share how your organization is changing it, making it better, and how the donor can help. People are driven to action by the desire to make a difference keep that in mind as you write the content for your site. Make sure you are using your own graphics. Avoid using clip art or stock photography. Use images and elements that tell your unique story, and convey what your mission is all about. Make sure your fonts are between 12 and 14px for the majority of your text. Using fonts sizes smaller than that make it hard to read and larger than that are a waste of space. Stick with Arial or Times fonts for the majority of your text. These fonts are clean and easy to read, and make sure all the fonts on your site match. Visibility is key for the donate button. We recommend that at a minimum you place the button in the top right corner of every page. It is hard to tell exactly what page a donor will be when he/she decides to donate, so make it easy. Test whether or not changing the name of your button makes a difference in your online donations. We have seen cases where simply changing the text on the button to Help Us has increased online donations. Collecting a list of constituents’ email addresses will prove very valuable over time. Ask for email addresses on the form and on the home page. Potential donors may not want to give today, but they may want to hear more about your organization, and the projects that you are doing. A newsletter is a great way to communicate. Newsletters allow you to share your story, increase engagement, and get people involved in what you are doing. Be sure to use the newsletter to push people back to your website where they can learn more and make a donation. When you are writing the short and sweet content for your site, be sure to include key words or phrases people looking for your organization might type into the search bar. For example, if you are a food pantry include food pantry, food donation, feeding the hungry, etc… as people looking to donate or seeking your service are likely to type those types of things into the search bar. Don’t make donors leave your site to donate. Having to login to another site to donate to an organization is a strong barrier to donating. Donors want to see that their contribution helped. Add a progress bar to your donation page to show potential donors the goal and how they can contribute to it. The colors that you use on your site do matter. For example, blue is calming, red is for an alert or emergency. Make sure that the colors you are using communicate the intended emotion. The homepage should not list every program you have at your organization. Everyone wants their project on the home page, but he homepage should be reserved for the organization as a whole. Share the organizations mission on it and the projects that support that mission on ancillary pages. On your home page share how your organization is making a difference. Share how their donation will help, and share what will happen if they don’t help. Take-away: If you have other great tips, please share them here. We all gain when we all share! Can a bad event name or campaign help your nonprofit? I recently read a great blog post about bad brand names, and that got me thinking. Would a bad event name or nonprofit campaign have the same effect. Here are some pros and cons to think about before you embark on a bad theme. We live in an era of clutter on every front and that includes event clutter. In a sea of events that set out to be sweet, memorable, good and the like a bad, funny and sometimes shocking name definitely stands out. 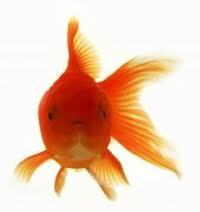 Project Kaisei, a non-profit organization dedicated to the prevention and clean up of marine debris, is doing something a little bit taboo with their latest fundraising campaign—they are threatening a goldfish with polluted waters to entice potential donors to take action. Their Facebook campaign, ‘Save Kai’, put a goldfish named Kai in a segregated space within an aquarium filled with plastic pollution. Supporters are invited to make donations to have pieces of the plastic removed from the tank before Kai is released into the deadly “Plastic Vortex” at the end of the month. What happens when your friend tells you about a bad habit of another friend or a colleague tells you that someone else in your team is lazy and inefficient? Chances are you are ready to listen, even willing to accept and propagate the idea simply because sad as it is we tend to be more receptive to negative ideas. This is precisely what a bad campaign works on…our innate curiosity about the bad or the negative. We cannot stop ourselves from wanting to know more about a negative consequence! A great example of a successful "bad" themed advertising effort. Bad themes are like bad news…controversial and in the news! This means that a bad theme is like an instant ticket to fame. The shocking PETA ads are a prime example of in the news. Whether you like them or not, you can’t deny the news coverage PETA has garnered from the sometimes scandalous ads. A bad theme will initially arouse curiosity, shock, dare, tease but its effects will largely be limited to the short-term. Only a determined effort to deliver quality and the ability to keep people interested in the organization will help the organization retain donor interest and further build on it. Simply relying on the theme or event is not enough! Bad campaigns are a strategy that could backfire simply because they have the potential to turn people off and offend them even while having the ability to pique curiosity and grab attention. By all means pick a bad campaign but weigh the chances of this backfiring as a brand building move too! At the end of the day people donate to an organziation because they believe in the mission. They don’t donate just because they like the name. So unless your nonprofit is a rock solid offering a bad campaign or event could very easily end up ringing the death knell for your organization. Take-away: Think before you leap. A bad name may be just what you need to get the awareness. Be smart, prepared, and ready to take action before and after the launch to ensure success. Video interviews are a great way to get the google juices flowing and share a wealth of information. Sadly for me, I loath myself on video. However, it presents a great training opportunity. See how many next times there are in this video and then scroll down to see if you got them all. Sound quality–Make sure you can hear the people speaking. This was great considering the room was an area in a conference hall. Interviewer–Make sure he/she knows what to ask. Rod, the interview, was amazing. Great voice, strong knowledge, prepared with good questions. Have fun–When you are smiling and laughing your audience is more likely to feel good about what you are sharing. Length–keep your videos short, ie edit them. No one wants to watch anyone for 10 minutes on YouTube. No no, Um–Um, we all know not to use um. Prepare— I had no idea what I was going to say. Funny how we all have tons to say until we have a camera in our face. Be still–I am always on overdrive, if you are high energy be careful not to move around. Look at the camera–I know it feels strange not to look at the person doing the interview, but remember it is not about him/her. It is for the people on the other side of the camera. Take-away: Videos are a great social sharing tool for nonprofits and business. Be sure to follow the tips above and you are sure to love the end result. Why not try this innovation tool and conduct a donor experience strategy session? Paul Williams, author of the Idea Sandbox Blog, has created a simple tool that helps to bring some structure to the planning of brainstorming sessions. He calls it a Brainstorming Brief. This simple but effective tool appears to be designed with the session facilitator in mind. The idea is to get clear on what you hope to accomplish, invite the right cross-section of well-prepared participants, and be aware of the “frame” within which you need to work, which should lead to better results. I downloaded the brief and edited it to facilitate a customer experience brain storming session. All nonprofit organizations benefit from improved donor experience, but relatively few actually conduct meetings dedicated to that improvement. Below you will see the template and an example. Take-away: Use this tool to conduct your own customer experience strategy session. What is the Climate / Politics? With what do participants need to be prepared? What can we do that makes working with us easier? Provide a title that quickly and clearly describes the meeting. Brief Date: Use this to keep track of the most recent brief. Objective / Desired Outcome: Write specific deliverables of the meeting here. How will success be measured for this meeting? How will success be understood? Keep this short and to the point. Opportunity / Challenge: In one or two sentences, what needs to be addressed? What is so important that it has prompted a meeting? What is broken? What is the problem? What needs to be solved? Keep this short too, you can elaborate in the Background section. Background: Use this space to provide additional background about the opportunity or challenge. C – Champions –These people will create excitement for this project. They will serve as ambassadors and spread the word for you. You don’t *have* to invite them… but be sure to keep them in the loop. A – Audience Affected-Who will be affected when the ideas thought up in this meeting are implemented? These could be external such as: customers, vendors, suppliers, etc. Or, they may be internal such as: operations team, front-line employees, leadership, etc. If possible, try to include someone – or a few – from this group. Why make assumptions on behalf of this group when they can be represented. T – Tasked –Who will have activities or tasks to make this idea a reality (builders)? Who will have tasks because of this project (implementors)? Whose roll will be affected? B = Buy-In –Who will be consulted? What specialists should you include who have input and value? Whose buy-in essential? R = Responsible –Who is ultimately responsible for delivering this project? Only one name should be in this spot. I = Informed* –Which people need to know about your ideas and decisions? They don’t need to be involved in the process, but want to know the outcomes. O = Okay* –Who needs to provide approval? *With both the Informed and those who provide the Okay – keep them in the loop. Give them relevant updates that allow them to be ambassadors of your project. What is the Climate / Politics? What is the current attitude and behavior of potential participants toward the topic? Are people excited, worried, fearful, energetic, supportive, combative? Does this meeting excite them? Threaten them? With what do participants need to be prepared? Here, clearly outline the pre-work needed to for the meeting. Then, communicate these expectations to your participants (ahead of time). This will make your time in-meeting more productive and relevant. Knowledge Ahead of Time What should participants do or read before the brainstorm? Industry background, product information, articles, research? Is there something they should experience? Visit the competition? Bring With Are there things you want participants to bring? Updates from their departments? A list of their own suggested solutions? Attitude / Approach Any additional instructions? Proper sleep the night before? Dress in jeans and sneakers? Leave laptops and mobile phones at the door? Start with a clean slate? In-Meeting Is there knowledge or experience you want to ensure the whole group experiences together? Something you want to guarantee they are aware of? What can we do that makes working with us easier? As you consider experience it is important to keep in mind that good experiences make working with your organization easier. What can you do that helps facilitate that? Edited and reposted from, Bridget Brandt’s www.customerexperience101.blogspot.com.